It is with great pleasure that I welcome you to Saint Ignatius’ College, Riverview, a Catholic school in the Jesuit tradition in Sydney, New South Wales. Riverview is a boys school for students in Years 5 to 12. 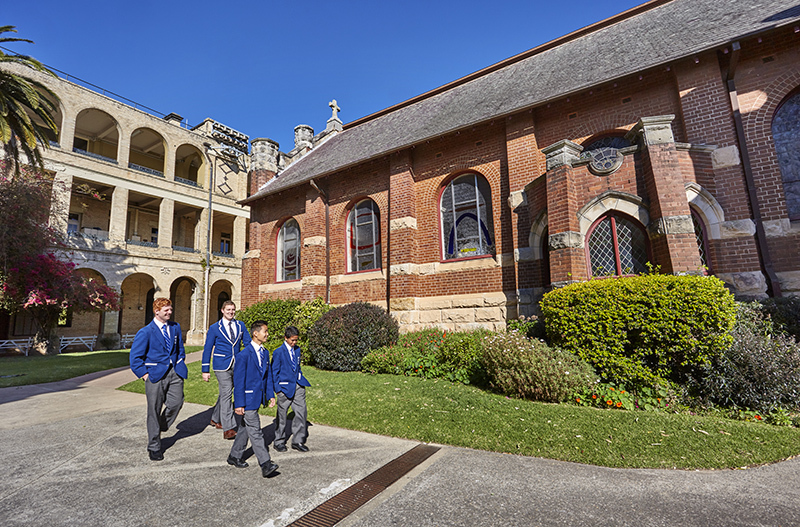 Situated on the north shore of Sydney, the College has delivered quality education to both local and boarding students since 1880. The Society of Jesus was founded by Saint Ignatius of Loyola and canonically approved as an order by Pope Paul III in 1540. The first school opened by the Society was in Messina in Sicily in 1548, which was followed by a rapid growth of schools throughout Europe and then across the world. Now established in over 80 countries, the Jesuits educate approximately 2.5 million students throughout the world. Jesuits first came to Sydney in 1878 to establish schools on the North Shore of the city. 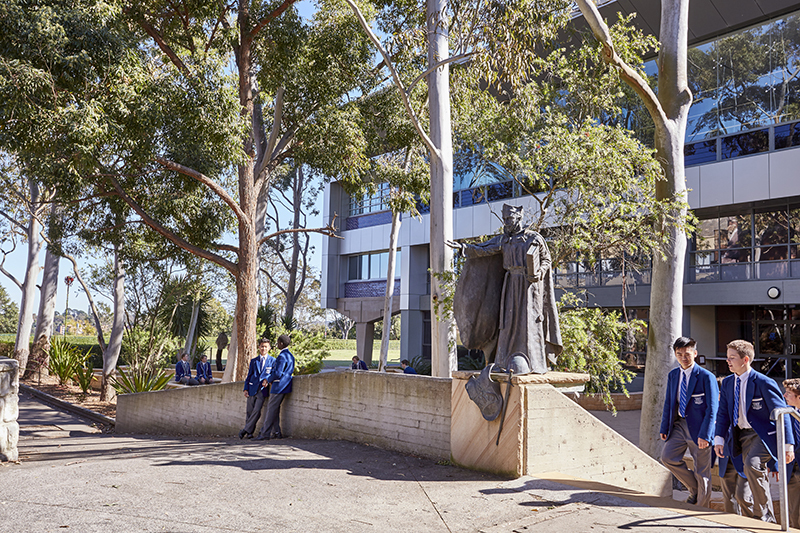 An Irish Jesuit, Fr Joseph Dalton SJ, founded Saint Ignatius’ Riverview and gave birth to a school that has become one of the most prominent in New South Wales and throughout the nation. Contemporary Ignatian educators share and continue Saint Ignatius’ dream of transforming the lives of young people, particularly those who suffer marginalisation and adversity, by offering them a holistic education that strives for excellence in all things. 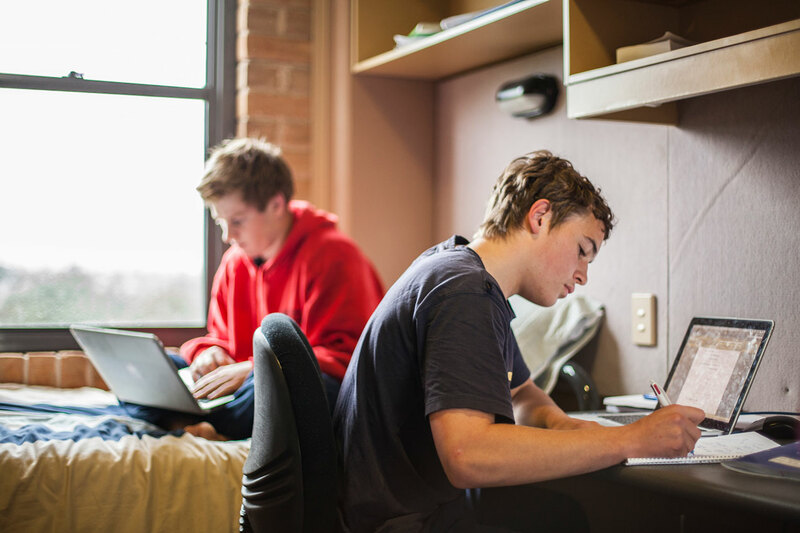 In traditional Jesuit terminology, cura personalis aims to provide care and support for each student as a unique and gifted young person. The ideal for Ignatian graduates is that they become men of ‘competence, conscience, compassion and commitment’ who aim to serve others to benefit the common good. 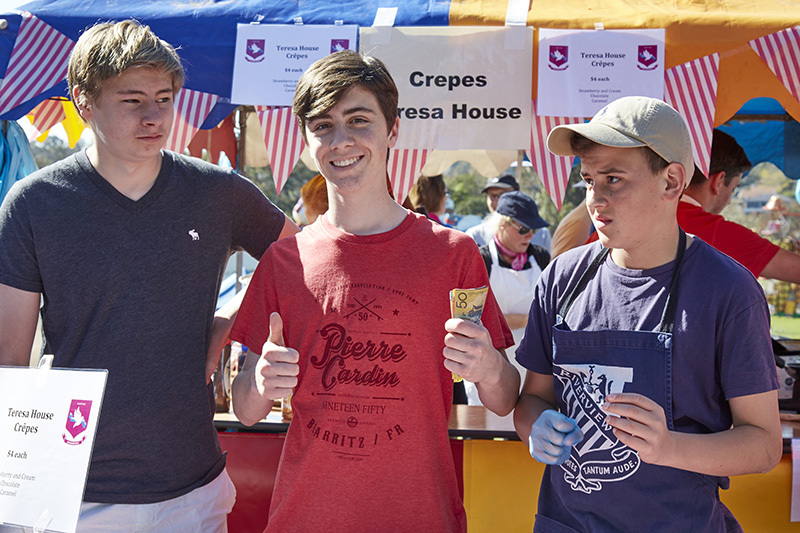 Should you decide that Saint Ignatius’ College Riverview is the school best suited to nurture your son in a caring Christian environment, I welcome you and look forward to the possibility of a long and fruitful association. 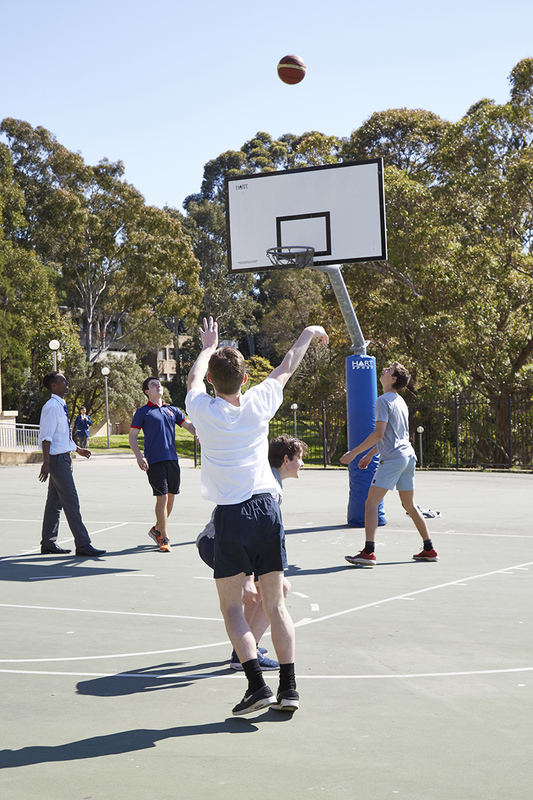 Welcome to the Saint Ignatius’ College Riverview community. Whether you’re new to Jesuit education or have a long-standing relationship with the Society of Jesus and its tradition of education, I hope you’ll find something that takes you further along the path of life that leads back to God. Since 1548, the Society of Jesus has been helping to educate young people in a tradition that celebrates developing the mind, body and spirit of the individual so that they can serve their community and their world. Here at Saint Ignatius’ College, we’re a community that constantly strives to become better today than we were yesterday. Whether as individuals developing skills and talents, or as a community growing in service and Christian charity, we’re a community that values excellence, growth and service. Saint Ignatius Loyola, the founder of the Society of Jesus, realised that God has created us – every single one of us – to become a particular person. Each individual is blessed with gifts and limitations that make us completely unique and each with a purpose that only we can fulfil. The mission of Jesuit education is to help equip young people with the tools to discover who they are created to be and the desire to become that person, and in doing so, to give glory to God. But Ignatius also realised that we cannot walk the road to ourselves alone, that we are all pilgrims on the journey, and called to help one another become the person we are meant to be. Our call is to educate one another to be the people the world needs most. So we journey together, exploring our world, asking questions about how we can live most fully as the person we are called to be, and using all the abilities we’ve been given to become that person in service to our community and the wider world. In doing so, we live out Saint Ignatius’ instruction to “go forth and set the world on fire”. Our mission is to provide a holistic Catholic education for boys that inspires them to a life-long development of their faith. Informed by the spirit of Saint Ignatius of Loyola and grounded in Gospel values of justice, service, discernment, conscience and compassion, the College aims to produce young men who are cognisant of and responsive to global citizenship in a rapidly changing world. The motto may be translated to ‘dare to do, as much as you can’ or to ‘strive your hardest’. It takes up themes central to Jesuit teaching and stresses the traditions of Riverview and the qualities expected of every student who passes through its doors. 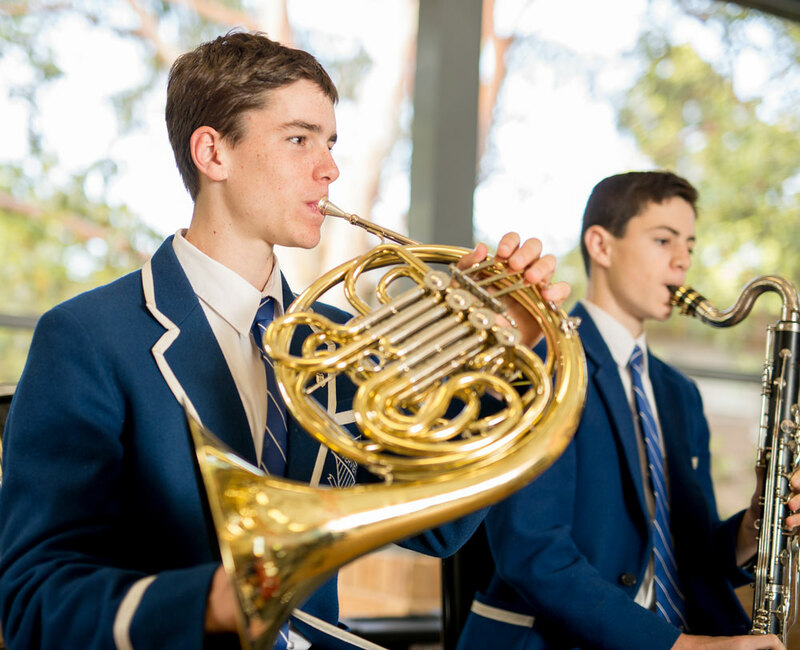 Strategic Directions 2015–2020 builds on the Preferred Futures document and is designed to equip the students of Saint Ignatius’ College Riverview with the skills, attitudes, dispositions and capacities to become life-long learners. Students will take their place in and contribute meaningfully to their local and global communities. This Ignis Project is the College’s largest consolidated building program since its foundation in 1880. View the booklet to see the vision and scope of the project, recent innovations in teaching and learning that will see even greater realisation in the new flexible learning spaces, as well as the sustainable building principles that guide the design and construction process. Since its foundation in 1880, Saint Ignatius’ College, Riverview has been under the care of the Society of Jesus. While the founder of the school in the real sense was Father Joseph Dalton SJ, the school does have two other founders: Archbishop Roger Bede Vaughan, who invited the Jesuits to Sydney on condition that they found a boys’ boarding school, and Father JJ Therry, who, on his death in 1864, left the greater part of his property to the Society of Jesus. After Archbishop Vaughan asked the Jesuits to open a day school in Sydney (St Kilda House, later to become St Aloysius’ College) and a boarding college on the North Shore, Father Joseph Dalton purchased the Riverview Estate on behalf of the Society of Jesus on 28 June 1878. Eighteen months later Father Dalton was appointed foundation Rector of Saint Ignatius’ College. An advertisement was placed in the Catholic newspaper, The Express, stating that boys aged between eight and 12 would be received at Riverview ‘as soon as possible after the Christmas holidays’. Classes commenced in the cottage in February 1880. The cottage soon became very cramped as more boys arrived and in order to provide better accommodation, St Michael’s House was built. The building was designed by William Wardell and opened on the feast of Saint Michael, 29 September 1880. Further building took place at the College in 1882 with the construction of a wooden boatshed, and in 1883 the infirmary was built. In its early years, the College offered ‘Classical and Modern Languages, History, Mathematics, the Natural Sciences and all other branches required for the Civil Service, the Junior, Senior and Matriculation Examinations.’ It was advertised that the curriculum included a modern side: mercantile subjects. By December 1882, with an enrolment of only 70 students, the College extended the curriculum to include English Composition, Writing, Music, Singing, Drawing, Painting, Irish History and Oral Latin. The main building of the College was constructed in three stages between 1885–1930 and the foundation stone was laid by Cardinal Moran Archbishop of Sydney on 15 December 1885. As originally designed by the architectural firm of Gilbert, Dennihey and Tappin, of Ballarat, the building was to be a huge square, representing four identical fronts, but only the South front was completed according to plan. 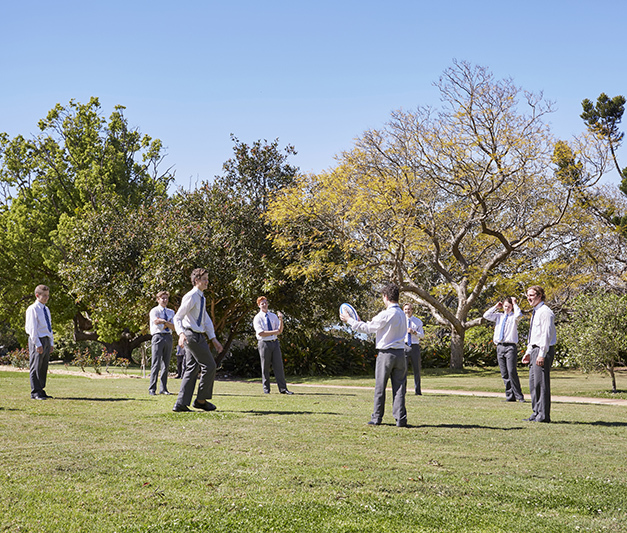 Although the first dayboys were not officially admitted until 1923, there was a small group of pupils who were permitted to attend the College as dayboys. In fact, up until the 1960s, dayboys remained relatively small in number and Riverview was mainly for boarders. Riverview was slow to express its meaning in symbols. The College began in 1880 without a motto, badge or uniform. It took 25 years before any of those began to appear. In 1906 Father Thomas Gartlan, Headmaster, decided that the school should have a badge and a motto. The badge is made up of two coats of arms, representing two sides of the family of St Ignatius. The Loyola family was a prosperous and powerful family who owned a property by the Urola River. Another family, named Onaz, owned a farm about a mile from Loyola. These two families intermarried, sometime during the 13th century, and when the Onaz branch died out the Loyolas inherited their name and property—thus uniting the coats of arms. The coat of arms of the Loyola family was two grey wolves with a kettle between them. The Spanish word for wolf is lobo and olla is pot; so a wolf and a pot is lobo-y-olla, which is contracted into Loyola. The coat of arms was taken to refer to the generosity of the Loyola family which, in feudal times kept bands of followers in case of war. It is said that the family was so generous to their followers that even the wolves had something to feast on after the soldiers had eaten. Seven diagonal bands, on a field of gold represent the coat of arms of the Onaz family. It is said that the King of Spain granted these bars in recognition of the bravery of seven Onaz brothers who distinguished themselves in battle. This part of the badge therefore reminds us of the courage and bravery of the family of Ignatius. 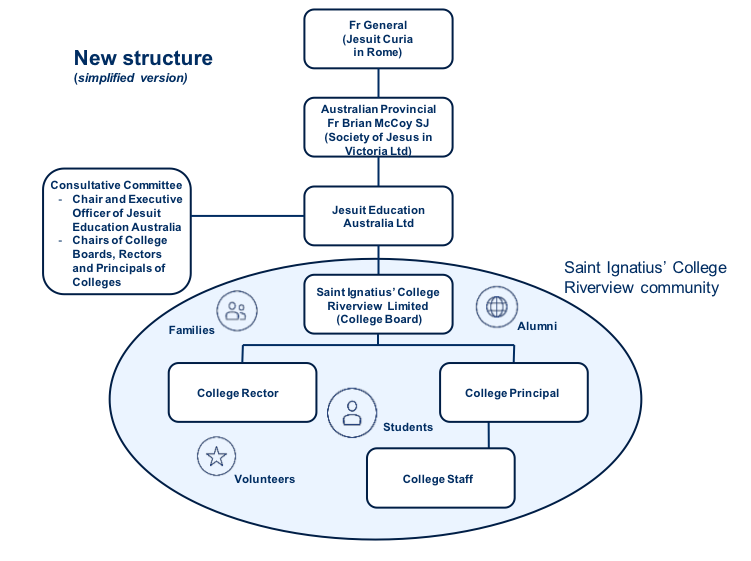 Many Jesuit Colleges have chosen the combined badge, but it is particularly relevant to Riverview, which is dedicated by name, and under the patronage of St Ignatius himself. It calls on all that wear it to show similar generosity and courage in all they do. It is the motto underneath the badge that distinguishes one Jesuit College from another. Quantum potes, tantum aude is taken from the 13th century Eucharistic hymn, Lauda Sion Salvatorem, composed by Thomas Aquinas. The motto may be translated to ‘as much as you can do, so much dare to do’. 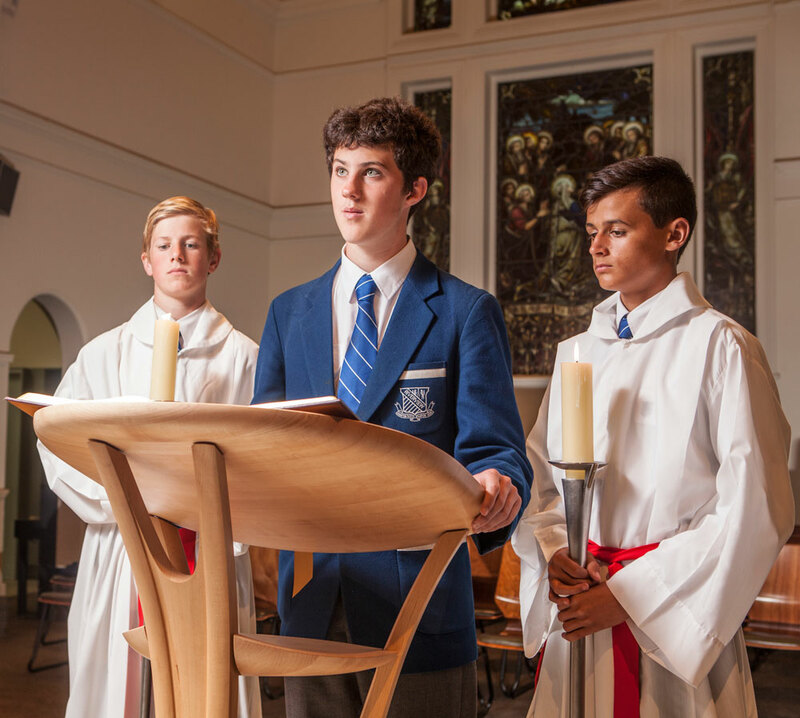 It takes up themes central to Jesuit teaching and stresses the traditions of Riverview and the qualities expected of every student who passes through its doors. Father John Meagher SJ introduced the uniform in 1937. Prior to that time boys had a ‘best suit’ and play clothes. In the 1890s the wearing of a straw boater with a plain black hatband was optional. With the adoption of the College arms in 1906 the hatband was decorated with a metal badge. Later, an embroidered badge was worked into the hatband. During the 1920s ten-gallon hats replaced the straw boater, the hatband simply being transferred to them. In 1932, as the move towards uniform clothing gathered pace, rules for the wearing of special blazers, sweaters and caps were formulated. It was finally announced that wearing the school uniform would be compulsory from the beginning of 1937 and it was declared that jackets had to be worn in class with collar and tie neatly arranged. The straw boater remained regulation headgear until the 1970s. In 2003, the blue blazer was introduced for all students as the grey blazer was gradually discontinued. 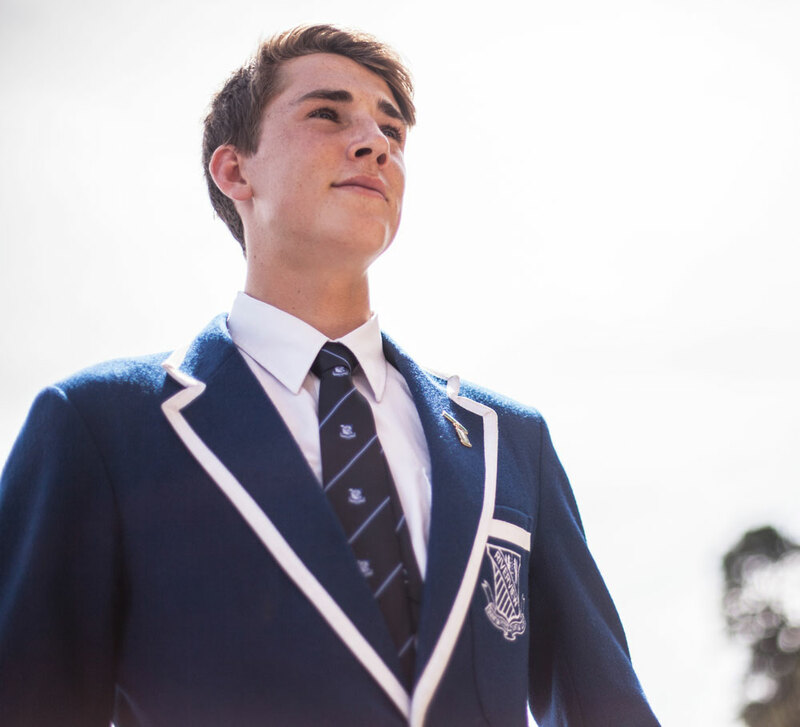 This was the first major change to the school uniform since its introduction in 1937. The establishment of Riverview Archives dates from 1974 when the then Headmaster, Rev Peter Quinn SJ saw the need to bring together the historical documents and papers recording the life of the College, which were scattered throughout various offices. Riverview Archives supports the mission statement of the College by providing a place of perpetuity for those records, memorabilia and museum objects which, serve as the memory bank for the College’s staff, students, and the wider Riverview community, past and present. Riverview Archives also aims to promote and share the rich heritage of the College and the Jesuit tradition with the students, the wider Riverview community and the general public. Knowledge of our past helps us to understand the present and gives us direction for the future. To arrange, describe and safely store the archival records & artefacts generated by the College. To make certain records available for use by staff, and undertake research on behalf of the Riverview community and bone fide researchers. To display archival material and museum artefacts of interest to the Riverview community and other interested parties. The Archives are the non-current records of the College (in-house material), as well as records of individuals associated with the College, which have been selected for permanent retention. Administrative records of Saint Ignatius’ College, Dalton Memorial Chapel and the Jesuit Community of Riverview, 1878 to the present [with legal documents dating from 1793]. These records make up the official records of the College. 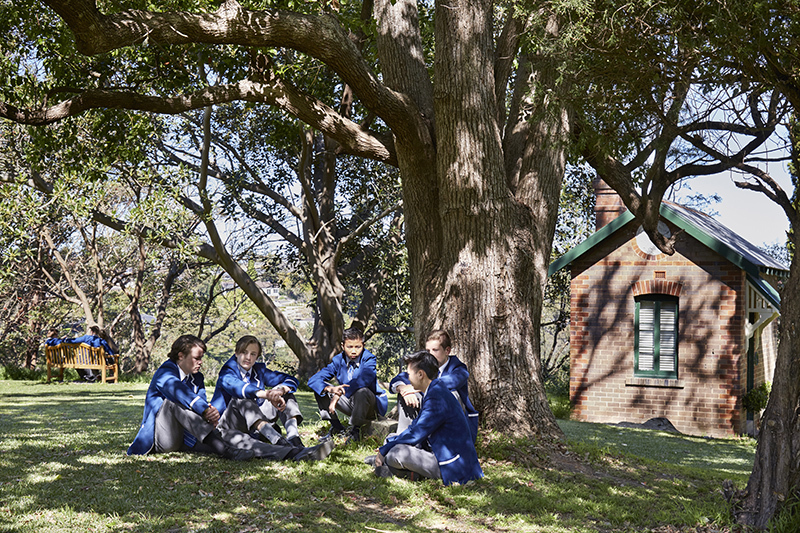 Photographs documenting buildings, students, staff, College activities, College grounds and the Lane Cove River. Private record groups consisting of private papers generated by members of the Riverview community. These private papers provide a balance to the official records of the College by helping to document the ‘human interest’ often missing from the official records. Riverview Archives is open by appointment only Monday to Friday during term time. The Archivist can be contacted at archives@riverview.nsw.edu.au. 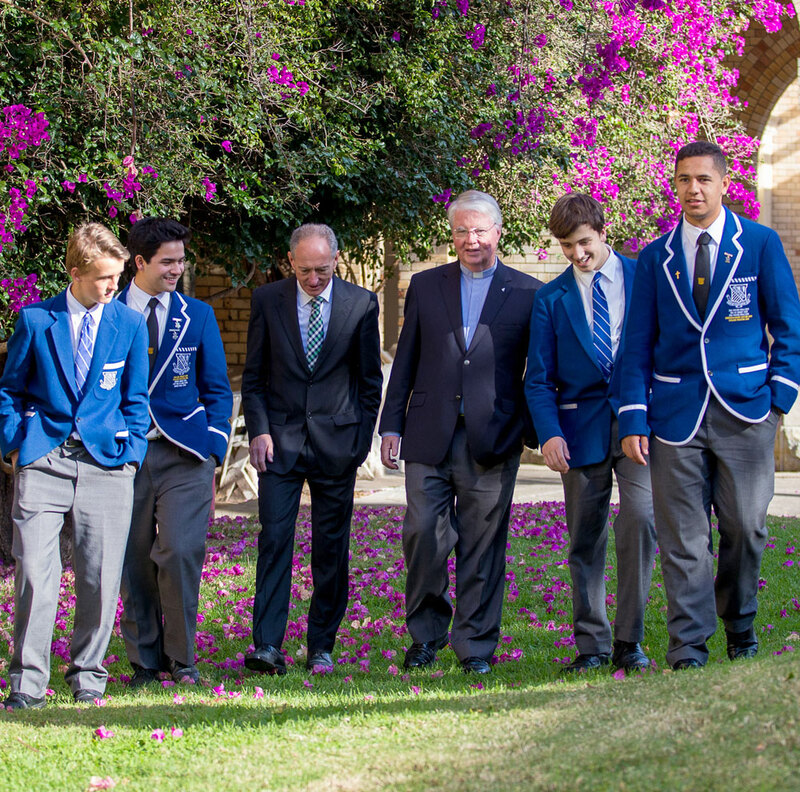 In October 2017, Fr Brian McCoy SJ, the Provincial of the Society of Jesus in Australia, announced significant changes to the governance of Jesuit owned schools in Australia. From 2 December 2017, Saint Ignatius’ College, Riverview became an incorporated entity with a board that is responsible for the local governance and management of the school. 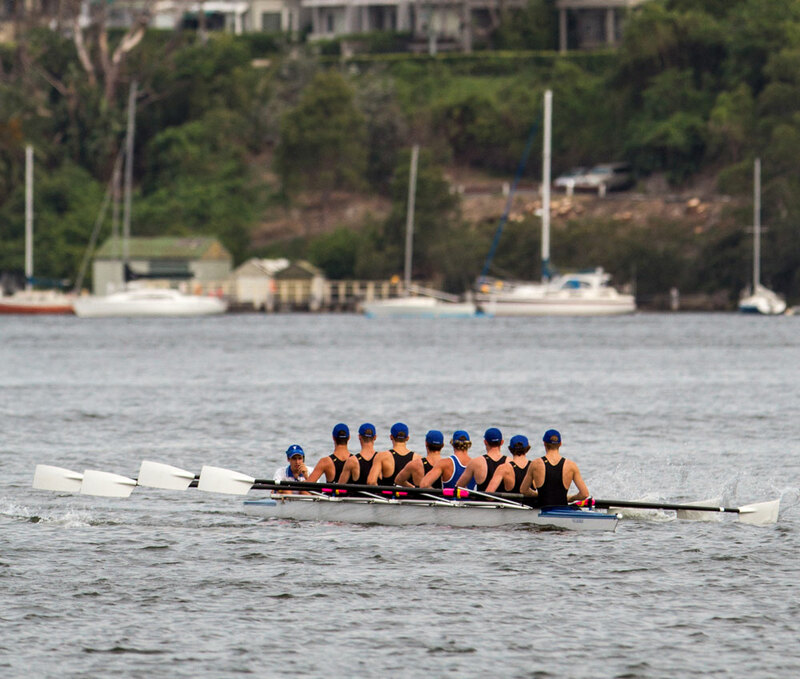 Saint Ignatius’ College Riverview Limited (Ltd) is the legal entity that conducts the College and is the employer of all of the staff at the school. 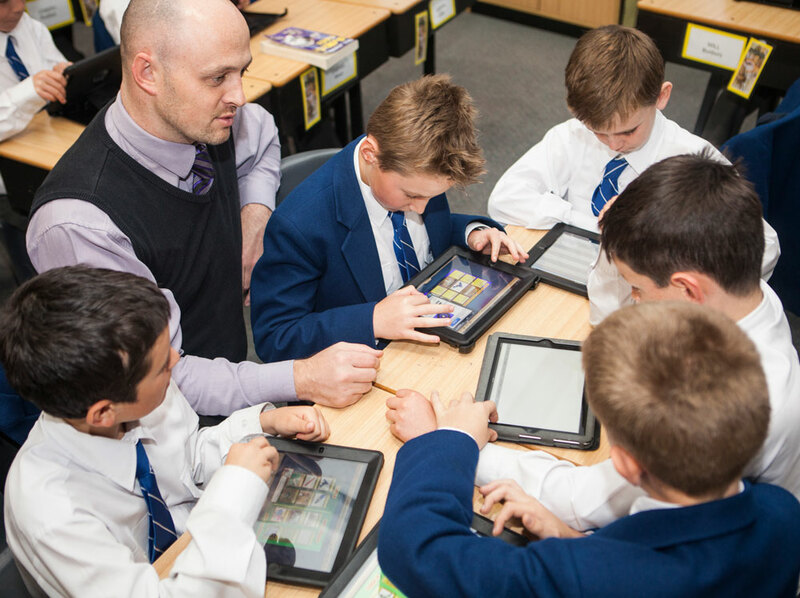 At the same time as announcing the move to incorporating the Jesuit owned schools, the Provincial announced the establishment of a new incorporated entity called Jesuit Education Australia (JEA). JEA is the member of the entity that operates Saint Ignatius’ College, Riverview. In turn, the Society of Jesus in Victoria, which is a legal entity of the Australian Province of the Society of Jesus, is the member of JEA. The Principal reports to the board of the school which in turn reports to the Province through its member, JEA. Do all other things necessary for, or ancillary to, the fulfilment of the purposes listed above. Under our governing constitution, the Chair, Deputy Chair and directors of the board are appointed by JEA, taking into account nominations from the Chair of the board and/or the Provincial. The boards are non-representative bodies but in making appointments to the board JEA must ensure that there are directors with an appropriate range of skills, experience, and expertise including the ability to understand and competently deal with current and emerging issues in connection with Jesuit education. Before JEA appoints a Chair, Deputy Chair and/or director, it must seek the prior approval of the Provincial. Directors are usually appointed for an initial 3 year term. Note: The Principal, Rector and JEA representative are not directors of the board. The position of Delegate for Education ceases with the commencement of incorporation. The Principal and the Rector are not members of the board but report to the board and attend all board meetings. They have the ability to speak at meetings but not vote on any decisions. No member of staff can become a director of the board. There will be a representative of JEA present at each board meeting. The JEA representative has the ability to speak at board meetings but cannot vote on any decision. JEA is also the entity that approves the appointment of a Principal, the annual budget, and the College’s strategic plan including its master plan. As with the appointment of directors, JEA must seek the prior approval of the Provincial for each of these matters. The responsibility for day to day management and administration of the College is delegated to the Principal by the board. While the Principal is the Chief Executive Officer of the College, he shares the day to day leadership of the College with the Rector. The Rector must be a member of the Society of Jesus and is appointed directly by the Provincial. The Rector has the overall responsibility for the preservation and promotion of the Ignatian ethos and Jesuit identity of the College. He also has a special care and responsibility for the faith formation of the College including leadership in the liturgical, spiritual and service life of the College. Ensuring board committees exist that oversee the Audit, Finance and Risk of the College as well as the property and buildings used by the College. To educate our community and encourage active participants in moving society towards sustaining God’s creation. The College’s Sustainability vision for the Ignis Project is to create a community of learning and leadership in which people enjoy happy, healthy lives within their fair share of the earth’s resources, leaving space for wildlife and wilderness, and celebrating the Divine provenance of Riverview. We expect the Riverview community to switch it off and turn it down. The target is for energy use to trend down each year. We expect the Riverview community to minimise use. The target for water resource management is to not waste water. We expect the Riverview community to reduce, reuse, recycle. Organic waste is collected and mulched in our PulpMaster system, recycling occurs for paper and co-mingled. We expect the Riverview community to tread gently. Riverview is blessed with natural and built assets, which need to be protected. The Environment Committee comprises inspired members from across our community, including staff, students and parents, and is chaired by Greg Conlon, Director of Operations. Meetings occur monthly during term time. The Committee reports to the College Council and is responsible for the following initiatives: riverview-walk, Low Waste Wednesdays, Solar panels installed on the Gartlan roof, Riverview Carbon Offset program, Environment Clubs (Regis and Senior), Earth Hour Breakfast (Cool Australia 2014 review), Sustainable Living Festival, Catchment Day, Lenten Carbon Fast, Mobile Muster Electronic Waste recycling with Lane Cove Council. Australian Province of the Society of Jesus Code of Conduct In November 2018 the Australian Province of the Society of Jesus released a new Code of Conduct associated with Child Protection and Professional Standards. The Code built upon the recommendations made by the Royal Commission into Institutional Responses to Child Sexual Abuse and was the result of an extended period of consultation and feedback from stakeholders and Province ministries. Critical Incidents Policy The effective and efficient management of emergency incidents is critical to the safety and wellbeing of students, staff and school visitors. Such events can impact considerably on the psychological wellbeing of all members of the school community causing adverse effects in areas such as learning, occupational performance and family interactions. 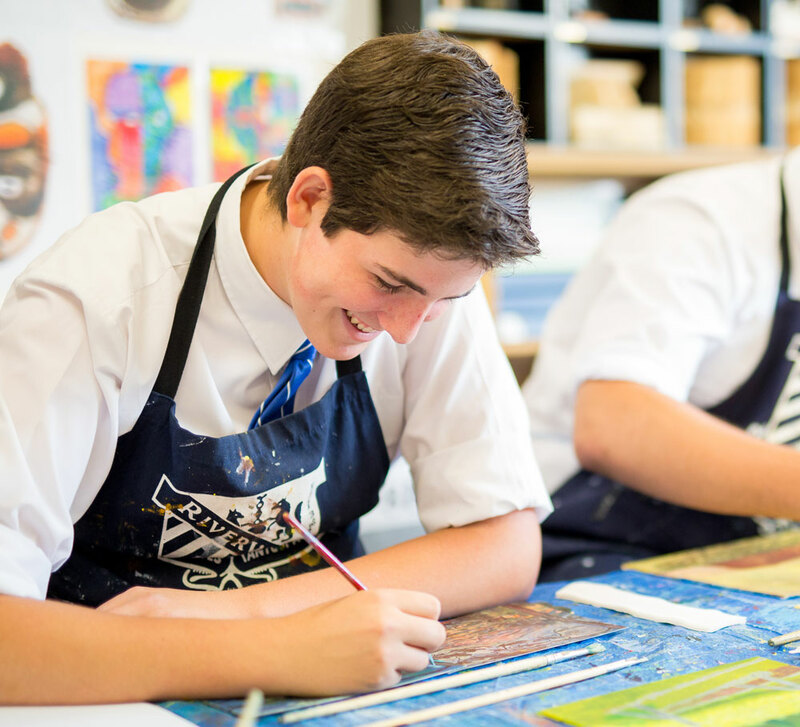 We value every one of our employees, recognising that it is their knowledge, commitment and service that ensures we succeed in our mission to provide a holistic Catholic education that prepares the boys for a fulfilling life. By providing care and support for each individual student, our staff play an important role in creating men of competence, conscience, compassion and commitment who aim to serve others to benefit the common good. 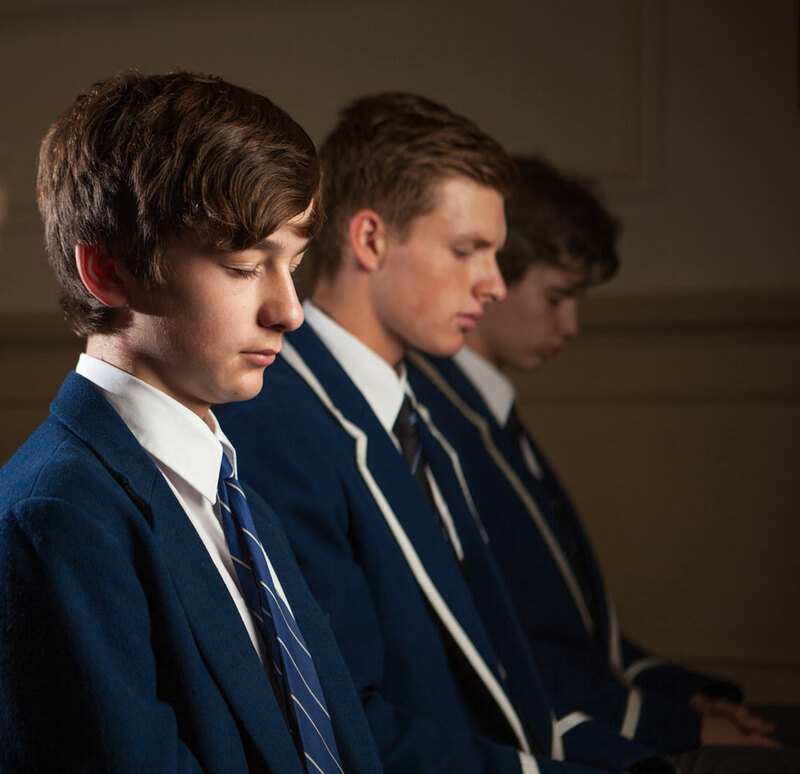 Saint Ignatius’ College Riverview is committed to protecting children and young people from harm. We require all applicants to undergo an extensive screening process prior to appointment. To apply for, verify or retrieve your WWC number, click here. Our full Child Protection Policy can be found here. For information on how the College manages your personal information throughout the recruitment process please read our Employment Collection Notice.